The first wave of big data has helped organizations reach a critical point in their transition to becoming more digitally driven. Organizations are collecting and analyzing ever-larger volumes of data, gathered from myriad sources. They’ve begun to streamline processes and systems for managing the data. Some have built big data architectures that span cloud and on-premise systems. The next phase of the big data revolution is figuring out new ways to utilize the information to make better decisions, identify new business opportunities and improve the customer experience. We’re really just at the beginning of the data revolution as companies try to figure out how to exploit the rapidly expanding volumes of information they’ve been collecting. It’s a big challenge: Despite big data investments that IDC predicts will surpass $48 billion globally in 2019, CapGemini last year found that only 13% of companies have “full scale” big data implementations and that only 27% rate them as successful. Only 10% of companies have “full scale” big data implementations and only 27% rate them as successful. “We’re still very much in the early, pioneering days of big data exploration and analytics. We’re just starting to discover the business potential of mining and analyzing this data,” says Joe McKendrick, an independent technology analyst. ThyssenKrupp is gathering data from the cloud-connected elevators it manufactures to improve operations and maintenance. Data from elevators is fed into dynamic predictive models, which continually update datasets, enabling the elevators to actually teach technicians how to fix them – sometimes even before they break down. Royal Caribbean International has connected more than 650 existing and new devices (digital signs, POS terminals and tablets) aboard its line of luxury cruise ships. Harnessing the resulting ocean of data results in powerful insights into what guests want, enabling cruise line staff to create truly personalized guest experiences. 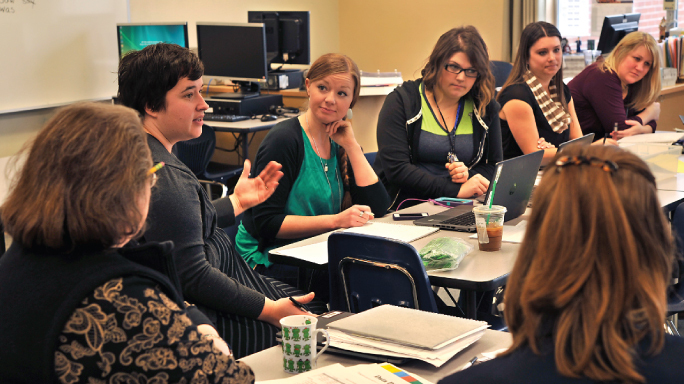 The Tacoma Public School District is using predictive analytics tools to provide comprehensive data snapshots of student success indicators. By examining all the data surrounding a student and identifying those who are likely to disengage and ultimately drop out, educators and administrators are empowered to help more students succeed. The approach has helped to improve graduation rates from 55% to 78%. As these examples demonstrate, capturing this type of value requires a more sophisticated approach to big data – one that is focused on real-time analytics and predictive modeling, and supported by cloud platforms that are more cost-effective and scalable than legacy data management systems. One issue companies are grappling with is the sheer volume of data. Take marketing, for example. Marketing generates a huge amount of data, but only about 28% to 40% is used for business intelligence, according to a 2015 Forrester report. Marketing is just one of many groups where analytics has not reached its full potential. “Sales might like to keep records on why they lost business and to whom. Manufacturing and operations have so much data about suppliers and products that they do not see the patterns,” says Dan Kusnetzky, chief research officer for the Kusnetzky Group. Only 28-40% of marketing data is used for business intelligence. WASH Multifamily Laundry Systems, for instance, uses sophisticated business intelligence (BI) software to optimize laundry load pricing and maintenance for its 500,000 washers and dryers across 70,000 locations. With Power BI, a cloud-powered business analytics service, WASH employees visualize and analyze powerful business data anytime, from any device. They’re able to share and discuss insights with colleagues by posting query results in the cloud. The beauty of Power BI is that employees are creating reports themselves without involving the IT team and sharing those reports with colleagues. This is extremely powerful for us. Suppose a financial manager at WASH notices that parts expenses were higher than normal one month. Was it because a certain class of machines began to wear out? Were certain technicians replacing parts more frequently? In minutes, the manager uses Power BI to penetrate heaps of unintelligible data and zero in on the cause: A key supplier raised prices. The above example highlights a vital component of a successful big data program: user-friendly data visualization tools. Allan Villegas, WASH’s chief financial officer, concurs. The prerequisite infrastructure is falling into place as cloud deployments increase. The 2015 IDG Enterprise Cloud Computing Study found that nearly three-quarters of organizations have moved at least one application or a portion of their IT infrastructure to the cloud. 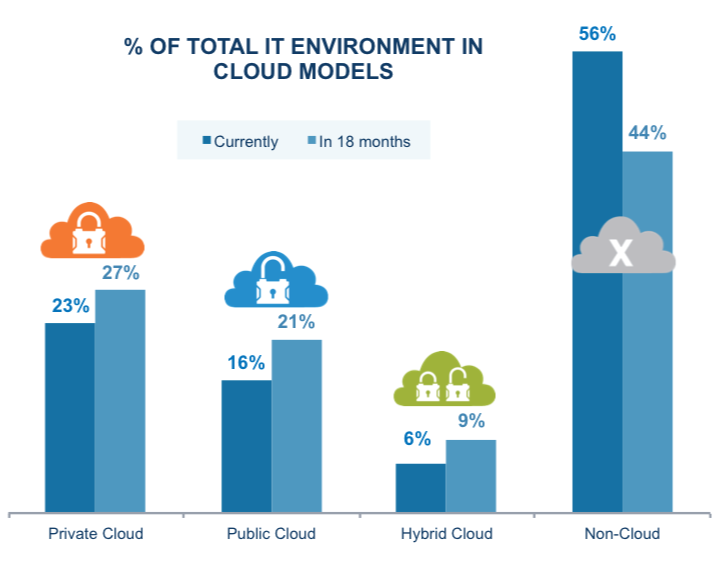 Cloud deployments currently make up 45% of the average IT environment but are expected to comprise 56% of the IT ecosystem in the next 18 months. While the first wave of cloud deployments has focused largely on cost efficiencies and replacing legacy technology, organizations are starting to turn their attention to more business-focused objectives such as enabling innovation, new product development and expanding revenue opportunities. Capturing those business benefits will likely require a heavy dose of data and analytics. Predictive analytics can help identify new markets, create up- and cross-sell opportunities for existing customers, increase customer loyalty and identify problem areas before customers defect. They can also change the face of an entire industry. Take healthcare as an example. The answer is ImagineCare, a system Dartmouth-Hitchcock is piloting to 6,000 patients that embraces the idea of the medical system going to patients. Patient devices such as blood pressure cuffs, oximeters and activity trackers feed data into the Microsoft Azure cloud. That data is massaged by the Cortana Analytics Suite to determine if any patient thresholds have been exceeded. If so, a nurse reaches out to the patient by phone, video chat or secure text. We’re truly looking at the whole health of the individual. It’s a completely new way to deliver care. In the future, imagine integrating personal data such as caloric intake, exercise activities and heart rate from wearable devices to address lifestyle issues. Where ImagineCare breaks into uncharted territory in healthcare is with its ability to track mental and emotional health. Using perceptual intelligence capabilities, the system can detect a person’s emotional state by monitoring Twitter feeds and other social media to perform sentiment analysis, looking for troublesome trends. It can also perform speech and tone analysis during interactions with ImagineCare nurses — a boon for early intervention. A mobile app that invites timely mood check-ins completes the picture, vastly increasing the chances of catching and treating depression before it becomes a life-changing issue. And a completely new way for any organization to think about big data in the enterprise.